Burlington, IA. - It was a beautiful evening for a baseball game, but the ending wasn't quite as pleasant as the atmosphere. 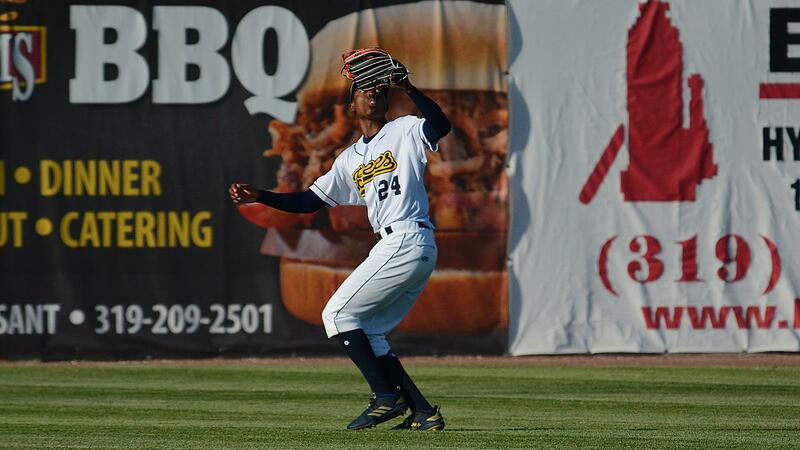 The Burlington Bees (24-34) were shut out in the opening game vs the Clinton LumberKings, losing tonight's contest 3-0. Oliver Jaskie (2-5) earned his second victory of the season, after coming out with a great start. 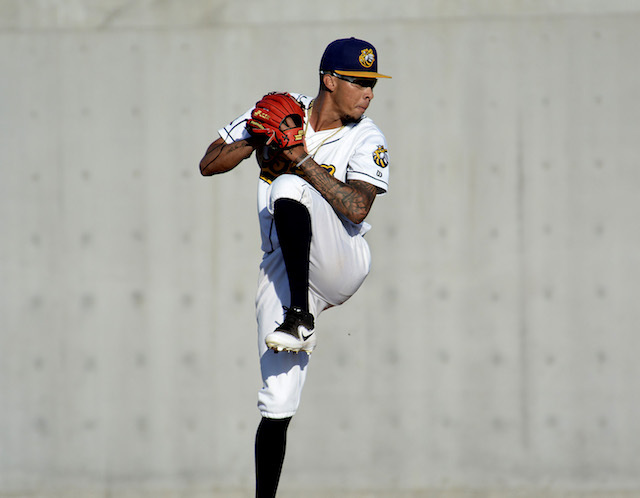 Jaskie went six innings, did allow seven hits and three walks, but used five strikeouts to help himself get out of jams in the third and sixth inning. Luis Madero (2-4) suffers his fourth loss, after going five innings, allowing two runs on five hits, but threw an impressive seven strikeouts. Kyle Wilcox earned his first save of the season, pitching the final inning and throwing two strikeouts. Dimas Ojeda did it all for Clinton today. He went 2-4 at the plate with three RBI's and made some really nice plays defensively. Ojeda got Clinton on the board in the fourth inning on a two run home run to right and added Clinton's third run of the game in the sixth on a single to center to score Jack Larsen, after he lead the inning off with a triple. Burlington was 0-11 with runners in scoring position tonight and could not find a way to drive in runs. Burlington got back to back singles in the bottom of the first, but Bees suffered two fly outs and a ground out to first to end the inning. In the fourth, Bees had Franklin Torres and Gleyvin Pineda at the corners with two outs, but Jimmy Barnes struck out swinging to end the inning. Bees then had the bases loaded with one out in the sixth, but Barnes and Zane Gurwitz both struck out to end the inning. Burlington had runners on the corners with one out in the eighth, but Barnes once again struck out and Gurwitz grounded out to second to end the inning. In the ninth, we had runners on second and third, but Torres and Pina both struck out to end the game. 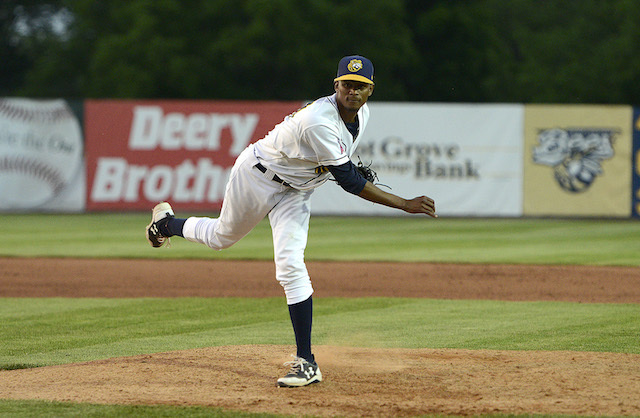 Despite the Bees struggles at the plate, Eduardo Del Rosario still put up a game good in relief. Del Rosario pitched the final two innings, allowed no baserunners and struck out three. Burlington will need more outings from their relivers if they want to continue their success on the mound. Burlington will look to bounce back tomorrow in game two of their series against Clinton. Bees are expected to start Mitchell Traver, who is 3-3 with a 3.35 ERA this season. Clinton is expected to start Ryne Inman, who is 3-2 with a 3.91 ERA. Game starts at 6:30 pm central time and tomorrow is Kids Eat Free Wednesday. All kids ages 6-12 receive a free hot dog and drink with paid admission.